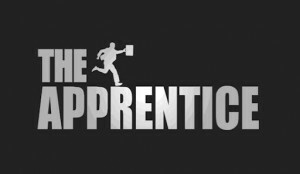 No no, this is not some sick joke about failing Asian economies and massive corporate retrenchments – instead, Asia will see soon its own edition of hit reality TV series, “The Apprentice”, in which contestants competed for a job as an apprentice to billionaire American Donald Trump. 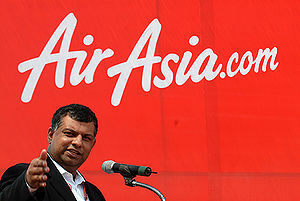 The Apprentice Asia will see various contestants from around Asia vie for a position with Malaysian entrepreneur Tony Fernandes of AirAsia fame. FremantleMedia, which has produced various hit reality TV series such as Idol, The X Factor as well as the game show The Price Is Right, is currently looking for aspiring and/or successful entrepreneurs, professionals or anyone who’d like to bring their ideas for business onto a big stage for The Apprentice Asia. Contestants can come from backgrounds in various enterprises, but typically backgrounds in real estate, accounting, restaurant management, consulting management, and sales and marketing, stand in good stead. – Basic information including name, age, country of residence, etc. – Where do you want to be in 3 years’ time? – How do you see yourself achieving this? – What inspires you and why? – Who is your business idol and why? Yes, the application process is pretty tedious. Oh, and applications must be received by 15 June 2012.